the at-fault driver has no insurance and nothing in the way of assets. 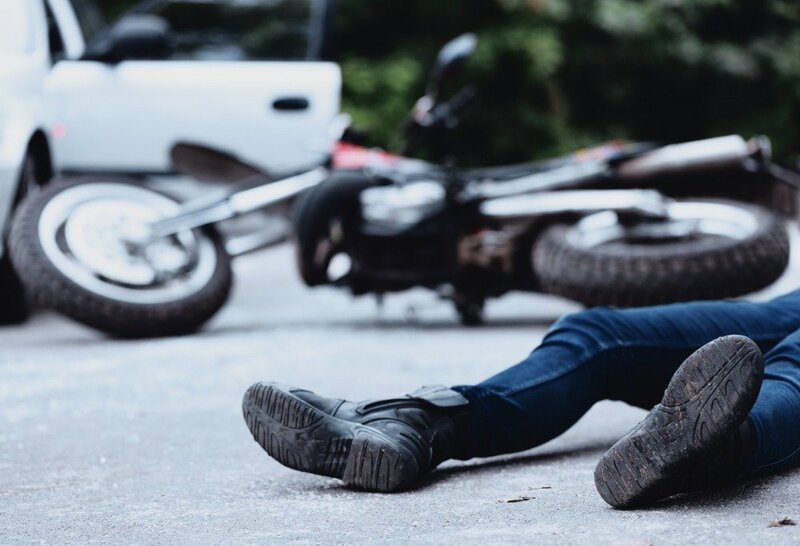 This could result in the motorcycle rider having to pay for his or her own medical bills, repair bills and other losses if their coverage is limited. Documentation of the accident – if physically possible collect as much information as possible after the motorcycle accident occurs. However, the rider’s first priority must be to get medical attention if he or she has suffered injuries. When possible, take photographs of the accident scene from as many angles as possible, gather witness names and contact information. Where a rider is unable to gather the information, ask someone at the scene to do it for them. In addition, where appropriate the rider must notify police which will result in the generation of a police report. One article states, “do not hesitate to call the police even if you may be at fault for the accident. Fault and liability do not always go hand in hand. Further, by contacting the police you are creating a record that is as near in time to the actual incident as possible”. Medical attention and records – as soon as possible after your motorcycle accident seek medical attention. By doing so you create a paper trail in the form of medical records. previous post: Witness Credibility, Why Important?